This week, John sits down with Krista McCarville, the most recent team to be named to the Roar of the Rings in Ottawa, and a very accomplished skip outside of that. As a three-time Northern Ontario Junior champion, a Canadian University champion and World University silver medallist, and a Scotties silver medallist to go along with six total appearances, Krista has just about done it all. 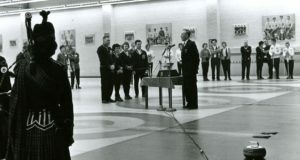 It’s been over 50 years since the inaugural Canadian Mixed Curling Championship, and while a lot about the sport has changed, there are still strong connections to the original 1964 championship. This week, John sits down with John Morris, a man who barely requires an introduction and the second most handsome man named John who curls out of B.C. John is a 2010 Olympic gold medallist, two-time World Junior Champion, one-time World Men’s Champion, and a man who is looking to improve upon his 2013 Olympic Trials Runner-Up finish this year at the Pre-Trials and Trials. We’re back! This week, John sits down with Lisa Weagle, lead for Team Homan, world champion, three-time Canadian Women’s champion, and one of the few curlers to have a shot named after her. Team Homan is coming off of two of the most impressive seasons in women’s curling history, and are one of the favourites to represent Canada at the 2018 Winter Olympics. 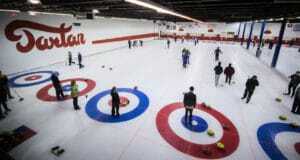 Imagine you’re leading a busy life in Calgary, Alta., but you’re looking for something fun to do during the winter. Something that isn’t a huge time commitment (because you’re busy, right?). Something that won’t break the bank. Something that even allows you to bring the kids along, rather than hire a babysitter. Impossible? 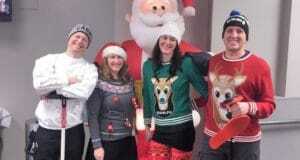 No way – just ask the convenors of the Six Pack League at the Calgary Winter Club and they’ll tell you this is a terrific initiative to attract new members through the doors of your curling facility and onto the ice. 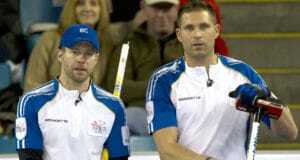 This week, John sits down with Geoff Walker, lead for Team Gushue, one of the greatest stories curling has ever told, as they captured their hometown Brier in St. John’s, Newfoundland. 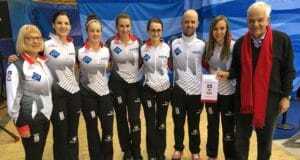 Geoff is also a former two-time World Junior champion, six-time Grand Slam champion, and has appeared in six Briers. BEIJING — With Canada’s Ambassador to China looking on, Team Canada put on a show to open the 2017 CPT World Women’s Curling Championship, presented by Ford of Canada. This week, John sits down with the 2017 Canadian Junior Women’s Champion, Kristen Streifel. Originally from Saskatchewan, Kristen played for the green and white for three years on the national junior stage before moving to Alberta and hoisting her first Canadian title. She’ll be looking to win Canada’s fourth gold medal in a row at the World Junior Championships. This week, John sits down with Colin Hodgson, lead for Reid Carruthers, co-owner of Dynasty Curling Apparel, and all-around good guy. 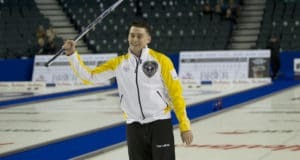 It’s been quite the year for Team Carruthers, as they won two events – the Home Hardware Canada Cup and World Financial Group Continental Cup – a month apart from each other and sealed their berth in the 2017 Olympic Trials. 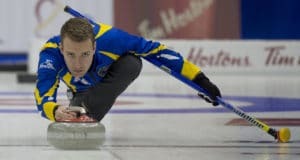 Wes Czarnecki knows that in many Saskatchewan communities, the curling club is “The Place”, the social hub, and he’s determined to foster that small-town, welcoming, inclusive atmosphere, even in the city. As General Manager of the busy Tartan Curling Club in Regina, Czarnecki is using savvy business initiatives to bring curlers – new and seasoned – through the doors of his club and keep them coming back for more. 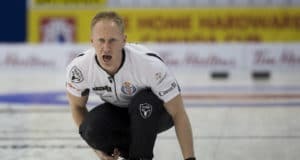 To say Brad Jacobs got his season back on track would be rude. By most team’s standards, it was never really off track. 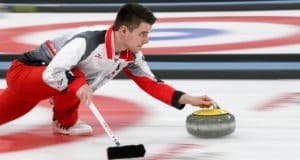 With a World Curling Tour win in Saskatoon and a Grand Slam runner-up in Okotoks, Alta., it would seem that the Sault Ste. Marie, Ont., foursome was playing at a high level.